Peterborough City Council is committed to developing and providing good quality information and advice for existing and future users of our services and their carers and families. You can find lots of useful information here on the Peterborough Information Network. We will ensure that information about the help and support that is available from the council and partner agencies such as NHS services and other providers is easily and widely accessible. 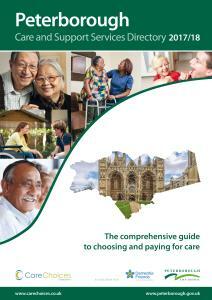 This information will enable you to make informed choices about care and support. The Alzheimer's Society have produced a range of useful Fact Sheets designed to support and inform anyone affected by dementia. The Department of Health and the Care Quality Commission have launched 'Quality Matters' an initiative which aims to improve the quality of adult social care across the UK. These easy guides provide a quick and easy way to access key information from NICE on social care topics. These free guides and factsheets are full of information to help you boost your income, find the care you need, remain independent, choose the right place to live, stay connected with others, and more. They are aimed at people who live in England. Written from the viewpoint of LGBTQI+ Disabled People, this external Information is aimed at LGBTQI+ Disabled People who are or wish to be in charge of their social care support. It will be also useful for LGBTQI+ Disabled People who have PAs or support workers who work for them. 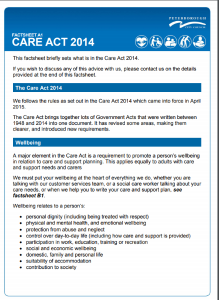 Complaints Leaflets produced by CQC and the Local Government and Social Care Ombudsman. You can find lots of useful informaton about social care in Peterborough, as well as listings of all care homes, nursing homes and home care providers in the area in the Care and Support Services Directory produced for us by Care Choices. To obtain a hard copy of the Peterborough Care and Support Services Directory please contact the Adult Early Help Team at Peterborough City Council on 01733 747474. Alternatively, you can view the Browsealoud compatible version. 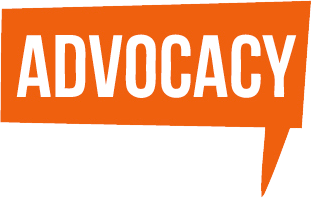 'Advocacy' means having someone to speak on your behalf. It means having someone to help you express your views and wishes, secure your rights and represent your interests. It helps anyone with a physical or learning disability, mental health needs or older people to make choices and decisions about their own health and social care. In Peterborough all commissioned statutory and non-statutory advocacy services are delivered by a new partnership of specialist advocacy organisations and co-ordinated through one central team. The service is called Total Voice and brings together advocates from VoiceAbility, Cambridgeshire Deaf Association and NYAS. A social worker will ensure you can access a specialist advocate as this is required under the Mental Health Act or in relation to mental capacity. circle of support - a group of friends and a facilitator work together to ensure a person in need of support has a good and full life. Each local authority with responsibility for providing adult social care services is required to conduct an annual survey of their service users. This year Peterborough City Council has had very high customer satisfaction ratings, exceeding the averages across England. You can read a report about the survey on this page. You can also see a report from the previous year on reasons people do not feel safe. This question was included last year too and the results were very similar. If you want to make a formal complaint, you may contact our complaints team. You can do this in person, by phone or in writing. This must done within 12 months of the incident occurring or the date when you became aware of it. 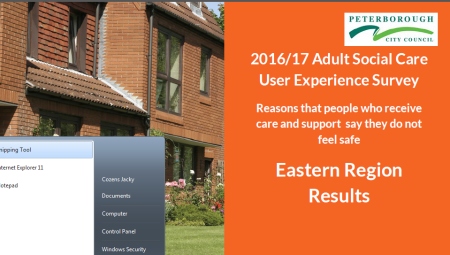 You can find out more information on the Adult Social Care compliments, comments and complaints page.